lived and wrote nine novels. Now, you can pay a visit, too. The house on the wooded hill was an ideal respite when, in 1935, a young novelist and literary critic named Hamilton Basso moved in. The hassle and noise — not to mention the expense — of life in New York City had nudged the New Orleans native and his wife back down South, and eventually to Brevard. 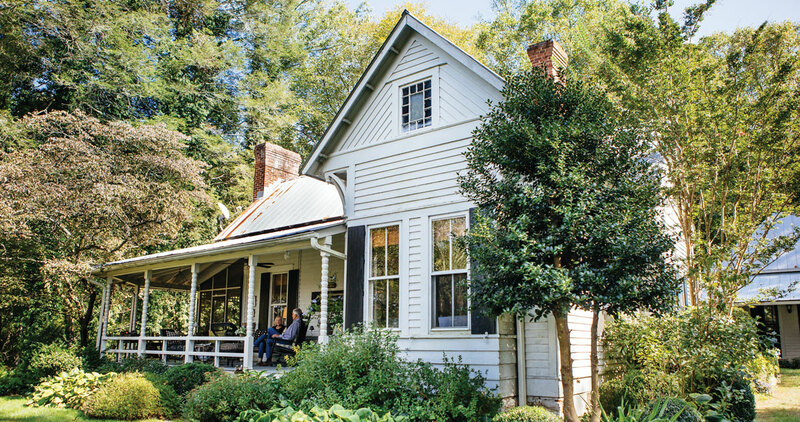 Writing came easier in the rambling house called Partridge Hill, overlooking the French Broad River valley, where only a distant train whistle could break the spell of isolation. The Brendles have their own tiny earthquakes to keep the nine-acre property lively: 15 grandchildren. And the house, which has been owned by four families since the Bassos, is every bit the warm, gracious farmhouse one imagines it once was. 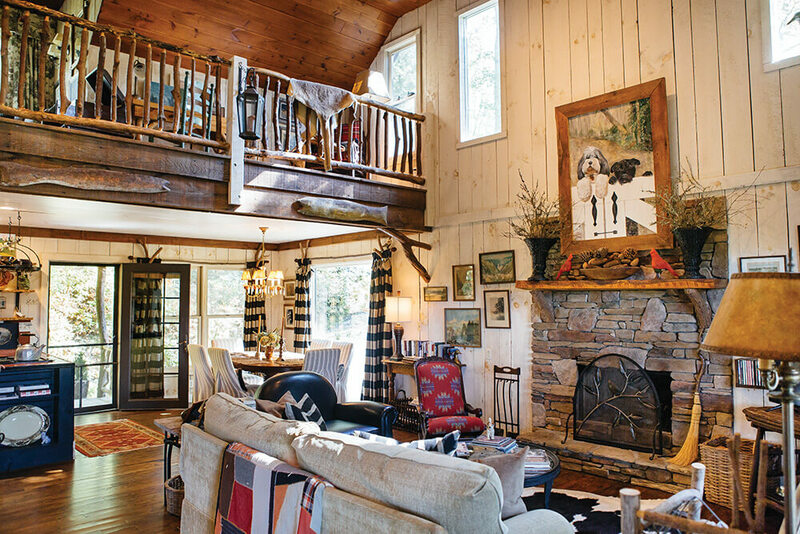 Still, Charles says, “we needed space for overflow.” His son, a civil engineer, sketched a design for a classic cabin, perched on the bluff above Partridge Hill. 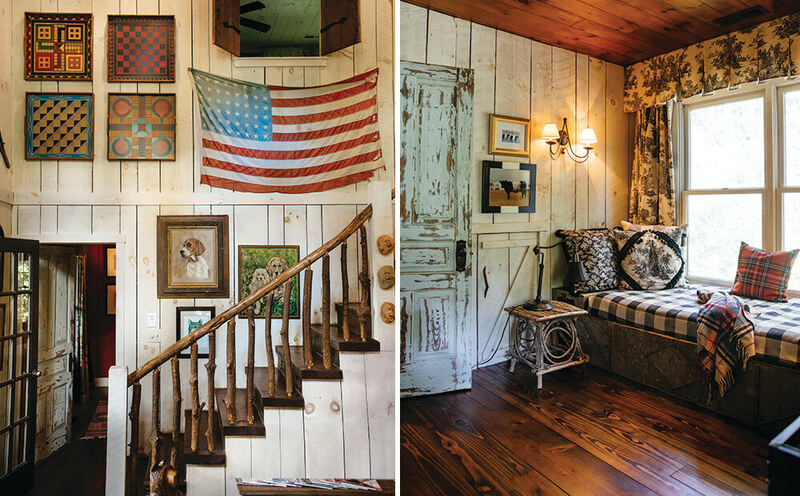 The whimsical two-bedroom house — called The Partridge Nest — is a getaway, not just for family, but also for anyone hoping to find the same woodland quiet that Wolfe and Basso once filled with their brash ideas and aching stories. Artists of all sorts have been drawn to Partridge Hill. A potter who lived there in the 1970s threw her failed vessels into the gully. A weaver and architect owned the house before Charles and Jean; Angora goats roamed the pasture and a loom stood in what is now the Brendles’ bedroom. Jean, who has a background in interior designer, found a perfect muse here — a place to leave her mark, too. 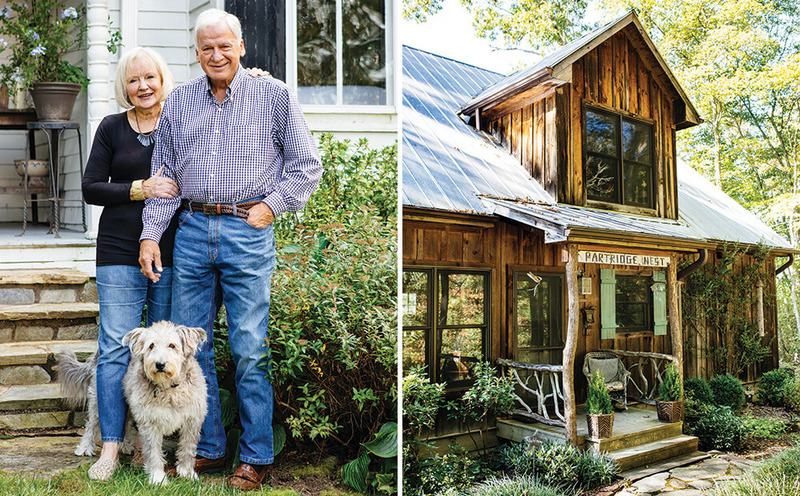 A high ceiling and rustic, hand-crafted details make The Partridge Nest a warm and airy retreat, which is exactly what owners Jean and Charles Brendle hand in mind. The cabin is hemmed in by laurel and rhododendron. One of Charles’s many interior projects — he painted walls and installed floorboards and tile — was building a dramatic stair railing out of rhododendron branches. Finding 170 branches that were the right thickness and relatively straight, and aligning them to code — four inches apart — was maddening. “I have nightmares about them every night,” he jokes. During a stay at the Partridge Nest, a classic novel is the perfect fireside companion. 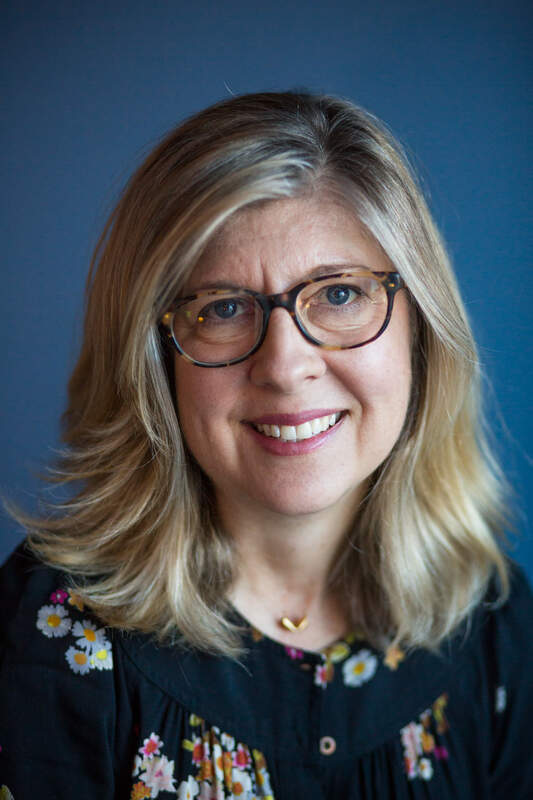 The Nest may be a new chapter in Partridge Hill’s story, but the farmhouse will always draw Wolfe fans and literary romantics. Years ago, Charles struck up a friendship with a fellow Citadel alumnus, novelist Pat Conroy, who’d come up to Cashiers to write for much the same reason that Basso holed up in Brevard. “I told Pat about our house, and wanted him to come over and sit on the porch where Basso and Wolfe used to talk,” Charles says.